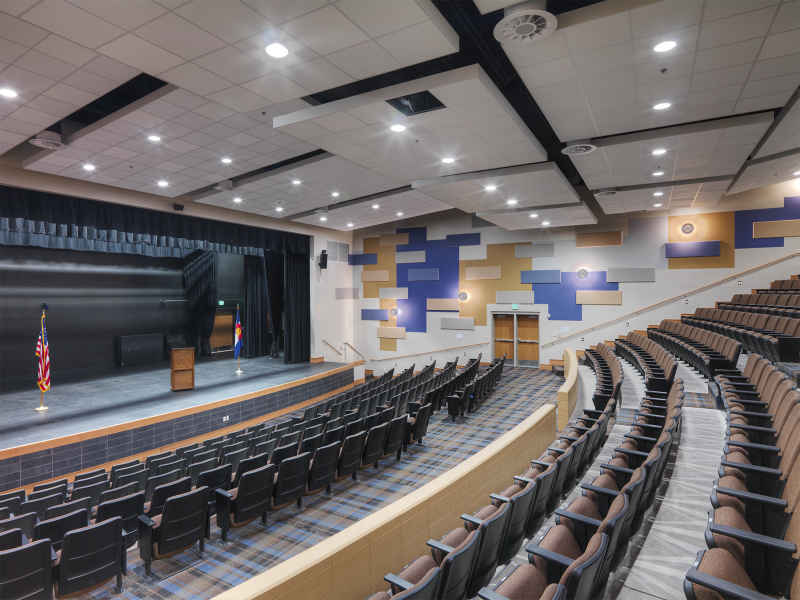 This new LEED® Gold certified high school includes 22 classrooms, an auditorium, two gymnasiums, and locker rooms, as well as new data/phone technology systems, video communication, door access control, and security camera system. The historic 1922 Kesner Building remained intact. 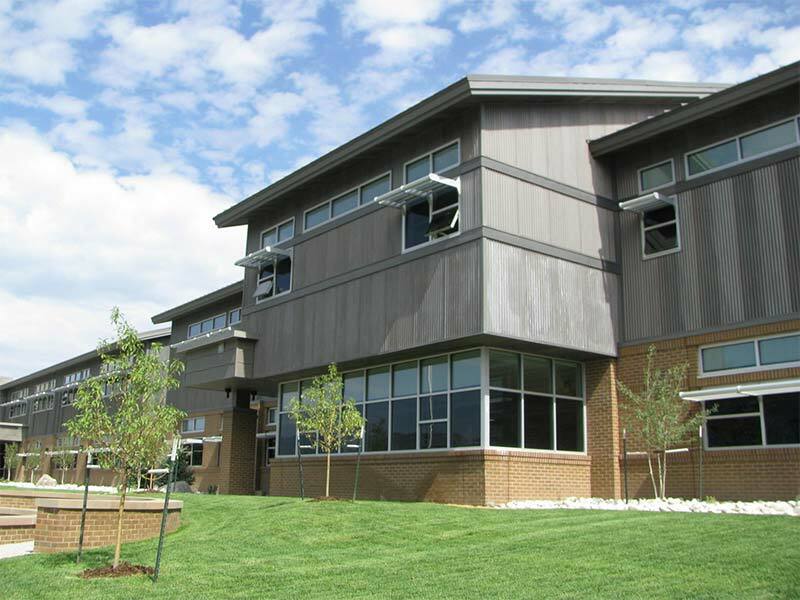 However, the building was renovated to include the district administrative offices and additional classroom space for Horizon’s Exploratory Academy. 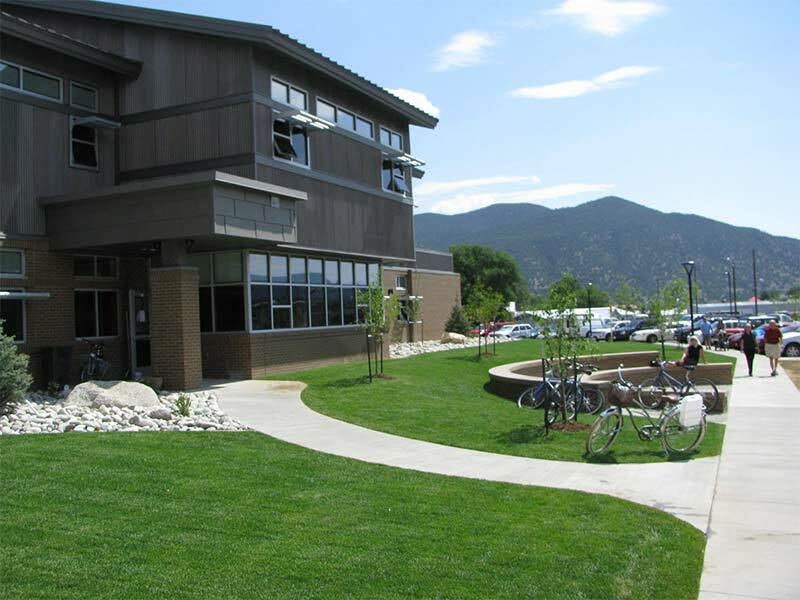 The Colorado Historical Society was in the design and renovation of this facility. 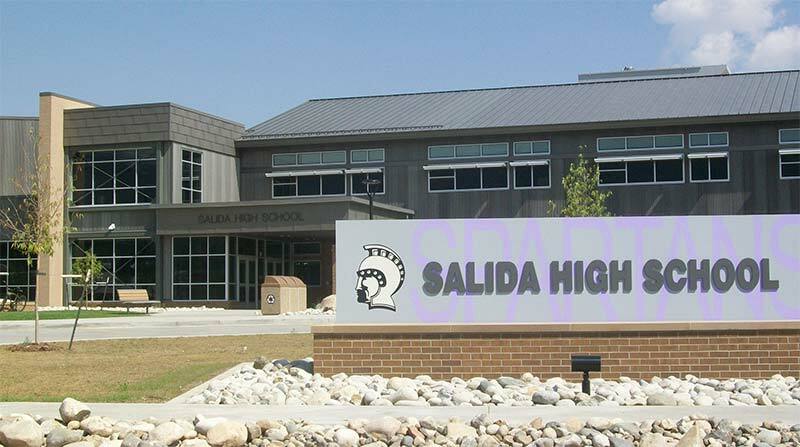 The new high school was built on the existing track site. 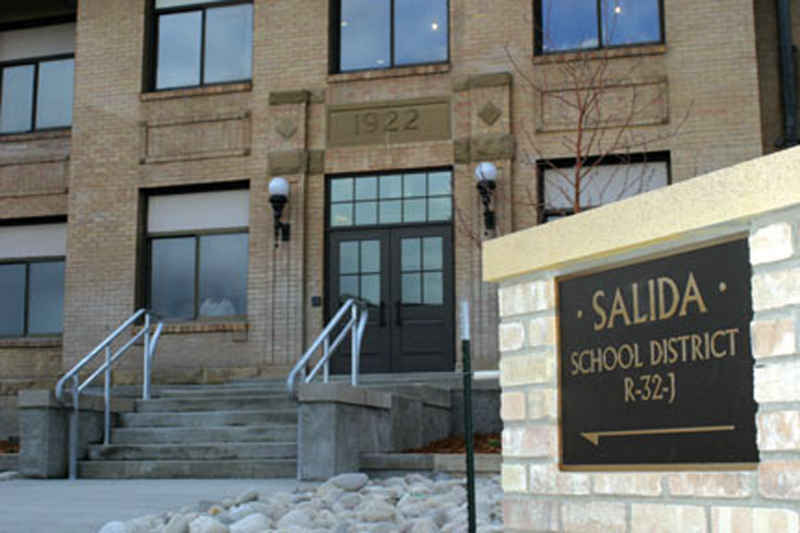 The existing high school building remained in place until the new building was complete, at which time the District vacated the old building which was abated and demolished. A new track and soccer field were constructed on the old building site.